Release Date: November 4, 2014 – U.S.
As one of the Santas in "I Am Santa Claus" explains, to be a good Santa, you have to have "Christmas in your heart." Then the film cleverly cuts to footage of wild-eyed pro wrestler Mick Foley being thrown violently off the top of a cell. 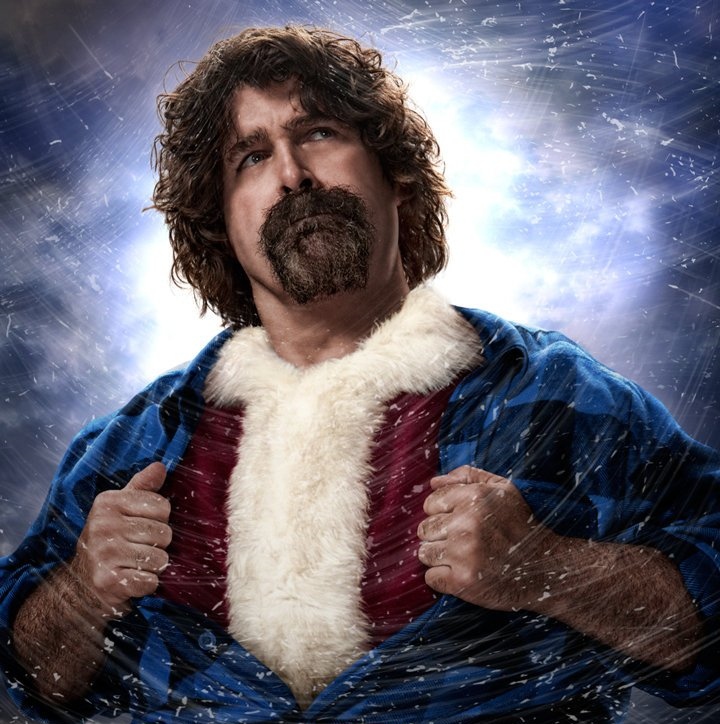 Foley's portrayal of unhinged madmen such as Cactus Jack and Mankind made him, in his heyday, the last person you would ever associate with a character as jolly and loving as Santa Claus. But that's the point. The man inside the Santa suit can come from all walks of life. As the movie shows, there are black Santas (I met one when I was 6, and he must have been the real Santa because he knew exactly what I wanted), Jewish Santas, and Muslim Santas. There's also a gay Santa, which is an issue with some of the other Santas. As far as I'm concerned, Santa Claus is asexual once he puts on the suit. At no point have I ever thought about what Santa does with his candy cane outside of working hours. Speaking of candy canes, one of the Santas uses a walking cane that looks exactly like a candy cane. It's one of the most creative visual puns I've ever seen. There are four experienced Santas in "I Am Santa Claus." They are Russell Spice, Bob Gerardi, Frank Pascuzzi, and Jim Stevenson. The fifth, the aforementioned Mick Foley, is a rookie in training. His transition is shown throughout the film. Becoming Santa is a much more complicated process than you could ever imagine. Santa's hair and beard have to be dyed the right shade of white, which is actually an arduous and painstaking process. But it goes beyond mere looks. A good Santa has to smell a certain way too. That means choosing the right cologne and avoiding foods and substances that would destroy the illusion. These men don't just dress up as Santa, they are Santa. In the case of Frank Pascuzzi, that's a literal statement. The Long Island native legally changed his name to Santa Claus. (He even has his own IMDb profile!) According to him, "Santa is better than Frank." Before becoming Santa, he had long black hair and tattoos – and no one wanted to go near him. Dying his hair white changed everything. It almost seems, in his mind, that Frank has become the character who has faded into the background and Santa has overtaken him as the real person. The obvious parallels between Santa and pro wrestling are not lost on Mick Foley, who even says as much in a conversation with the late "Rowdy" Roddy Piper. Just as wrestlers once upon a time had to become their characters 24-7, the same dedication is required to be Santa Claus. Still, Foley's rookie year as Santa was probably easier than one of his earliest matches in wrestling, where he was bounced around the ring by a reckless Dynamite Kid. The contrast between "I Am Santa Claus" and Foley's previous appearance in a documentary, Barry Blaustein's "Beyond the Mat," is startling. One of the final images in "Beyond the Mat" is of Foley's children crying their little eyes out after seeing their dad get hit over the head with a chair by The Rock a staggering eleven times. Near the end of "I Am Santa Claus," the sleepy joy of Foley's youngest son being visited by Santa at home is a much more touching – and far less violent – scene. I have to wonder if this was intentionally positioned as a redemptive moment for Foley – or at least his parenting. 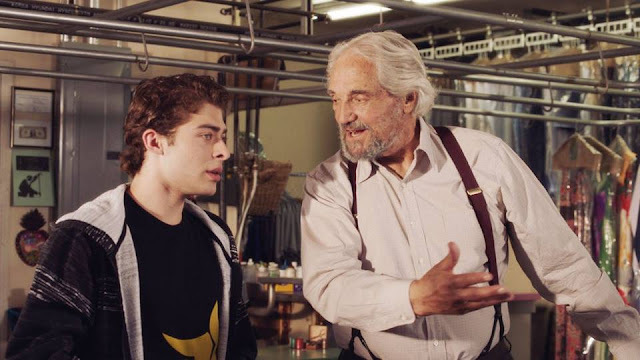 ("Beyond the Mat" director Blaustein is thanked in the "I Am Santa Claus" credits.) Whether calculated or not, it works and Foley seems like a good guy. Almost as good as Santa.